Adam’s Apple Productions, a new amateur youth musical theatre group, will present its inaugural production of You’re a Good Man Charlie Brown on Friday, August 12 (7 p.m.) and Saturday, August 13 (2:15 and 8 p.m.) at the Irving Adessky Community Centre (30 Lyncroft) in Hampstead. 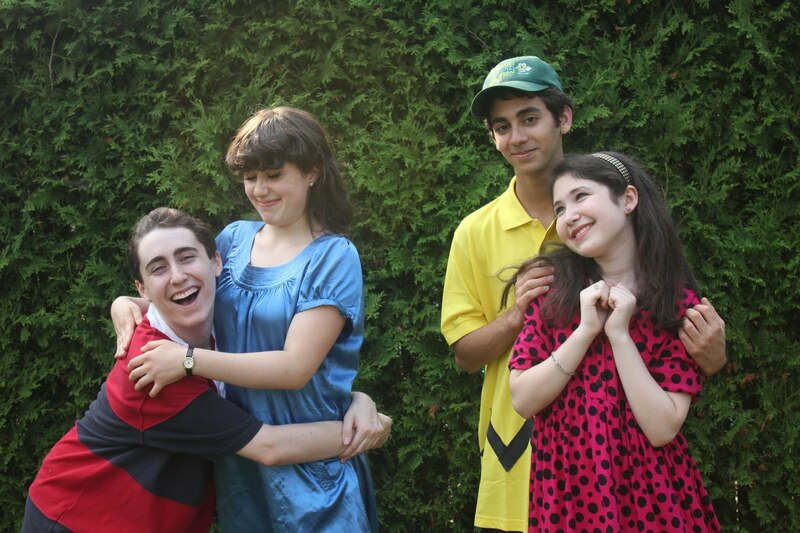 Adam Daniel Koren (Age 16), the musical’s producer and director, will play the title role of Charlie Brown, with Anna Frances Meyer (17) as Lucy, Brandon Adam (16) as Linus and Alex Cohen (13) as Sally Brown (photographed here by Rachel Kirstein). Jesse Gordon (17) is undertaking the position of stage manager. You’re a Good Man Charlie Bro wn is based on the Peanuts comic strip by Charles M. Schulz and the musical comedy of 1967, with music and lyrics by Clark Gesner. As Koren explains, this musical has been a popular choice for amateur theatre productions because of its small cast and simple staging. Will we see another mega concert like U2? Evenko and Live Nation Global Touring can now say “mission accomplished!” where the big U2 concerts are concerned. 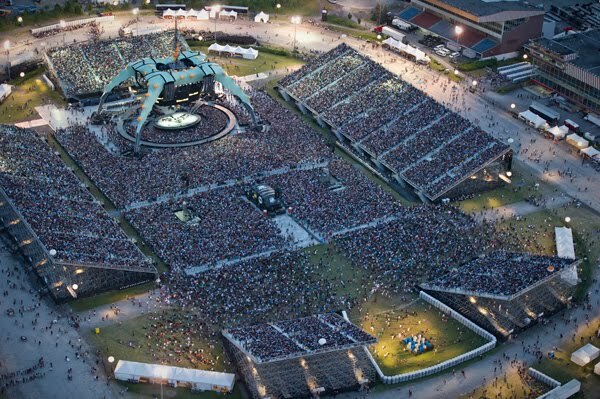 A grand total of 162,466 spectators, a record-setting attendance for a paid outdoor event in Montreal, gained some extraordinary memories thanks to the U2 360° Tour’s breathtaking concerts. No doubt, these two concerts will go down in history! Just look at this spectacular photo of the makeshift stadium! But this is only the beginning of our musical summer. Evenko will present a series of must-see events this summer. Their two festivals, Heavy MTL (July 23rd & 24th) and Osheaga Music and Arts festival, now a three-day event (July 29th-31st), which take place at the magnificent Parc Jean-Drapeau have something in store for music fans of all genres. 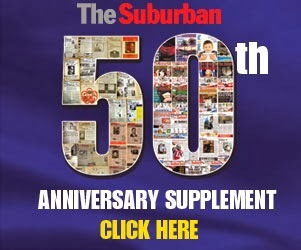 Not to be forgotten is the return of Paul McCartney to the Bell Centre stage on July 26th and 27th, Janet Jackson August 1st (her first visit to Montreal since 1998), Foo Fighters on August 10th, and Britney Spears August 11th. Also to be noted is The Lion King – the award-winning Broadway musical which runs from August 9th to September 4th at Salle Wilfrid-Pelletier, Place-des-Arts. But back to U2 and Blue Bonnets for a moment. It seems very unlikely the former Blue Bonnets Raceway site will be used again for such a spectacle. True, there were no acts of violence or vandalism and it really put Montreal on the map. This was simply a real high for all Montrealers. Even folks like myself, who did not attend, got into the spirit and listened to every tune that came out of Bono’s mouth from Marc Chagall Avenue across the CP Railway tracks. I am now being told that as many as 1,500 people gathered in Aaron Hart Park near Decarie Square. Many businesses nearby never want to see such an event again. Parking was prohibited anywhere in the immediate vicinity. So for places like Union Lighting, Cellular Solution (Rogers), Le Chateau and others, business was horrible. Talk to the people at Dunn’s Famous and Orotoro restaurants and they could not have been happier. Will someone build housing on this gigantic former horse racing track? If the land is worth some $100 million and it is owned by the Quebec government, what are they waiting for to put it on the market? I sent a note to legendary concert promoter Donald Tarlton (Donald K. Donald) and suggested perhaps he bring the Rolling Stones back here for a two nighter at Blue Bonnets. I believe this could create the same type of atmosphere as U2. What about Celine Dion, Madonna or even Lady Gaga? Jacques Aubé, the highly impressive head man at Evenko, doubts any type of concert will return to the site. He believes a housing development will go up there. Personally, I would like to see part of the land reserved for an outdoor stadium with 5,000 seats so Montreal can finally get a minor league professional baseball team.